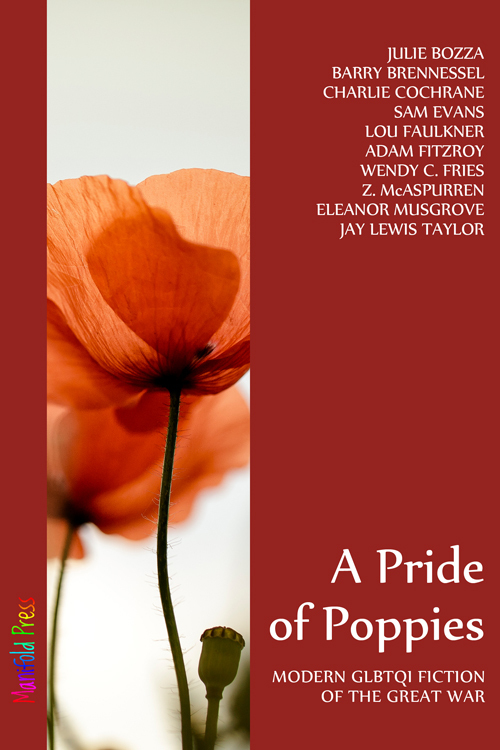 I had the great pleasure of reviewing “The Pride of Poppies” for the Historical Novel Society. The book is a very impressive anthology of 13 stories illustrating World War I through GLBTQI* eyes. The book comprises a great selection of individual experiences that cover a great range: geographically and emotionally. It is a perspective often neglected or over-dramatized and I applaud the book for hitting a lot of right tones in handling the subject. Entertaining and thought provoking this not only fills a gap in WWI literature, it is also a very moving and stimulating read with plenty of original ideas. Very recommended. (*Gay, Lesbian, Bisexual, Transsexual/transgener/transvestite, Queer/questioning, Intersexual). I was eager to make contact with the team behind the anthology and I’m proud to have Julie Bozza here today to talk about herself and the book. Welcome Julie, please tell us a little about yourself as writer and as person. I am a very sincere sort as a writer and as a person, and I can only write about ‘real’ things that I know or imagine or empathise with. This might strike you as rather dull, but I also love irony and wit, and I can never write (nor happily read) without a dash of humour to leaven the drama. Did anyone influence you to become a writer? I could have always told you I wanted to be a writer, though in the very next breath I would have explained all the reasons why I couldn’t. In an odd way, one of my biggest influences was the primary school teacher who told me with great impatient scorn that I had no imagination. I have always had a streak of teenage rebellion in me – yes, even when I was a child, and even now as an ‘adult’ – so I decided then and there to develop an imagination, damn it. I read a lot and thought a lot, and started trying to tell myself stories. I was always heartily discouraged by my rare efforts at writing, and I didn’t get going properly until my early twenties, but here I am today, a writer. With an imagination. I often wonder what I’d be now if it hadn’t been for that objectionable teacher way back when. Because a big part of me is all about facts and logic and truth and numbers. I was good at both maths and English in school, and I feel I bring a useful left-brain / right-brain balance to my writing and my training work. But if I hadn’t been so determined to prove that woman wrong, would I be all left-brain, as it were? My first university studies were in accounting, after all. Maybe I’d be an accountant now, rather than a writer. Not that there’s anything wrong with that! But it does all make me wonder. I’m afraid I have a very busy ‘day job’ which means I have a lot less time for writing and editing than I’d like. On the other hand, it often calls on the same skills. I produce and deliver training material, usually for the implementation of large software applications for Finance, Human Resources, and so on. Good training involves creating a narrative, and being aware of passing on information in the best order to make sense to the delegate, not to mention the careful use of language. One of the earliest ‘rules’ I was taught in creative writing was to keep everything Accurate, Brief, Clear and Simple – unless there’s a good reason not to. That applies to all the work I do, whether in training, writing or editing. John Keats and Fanny Brawne, Leonard and Virginia Woolf, Wilfred Owen plus one, and Sue Perkins plus one. Though it would be ‘standing room only’ in our flat! Tell us about the concept behind A Pride of Poppies. How did you get the idea? We wanted to honour the centenary of the Great War by writing about people who were either partially ‘invisible’ or discarded at the fringes of society. Many of their experiences of war would have been the same as their heterosexual counterparts, but some of their experiences would have been very different indeed. If you don’t quite fit the idea of what a man should be, can you still enlist? And what challenges would you face from your own comrades if you did? If the existence of your love wasn’t known or approved of, how can you properly grieve? With war unsettling everything including social mores and gender roles, could you actually find greater freedoms during this period? All proceeds from this anthology go to the Royal British Legion, where they benefit today’s Service and ex-Service people and their families, with none of the discrimination that our characters would have faced a hundred years ago. Of my own characters in A Pride of Poppies, I love Lena best. She’s the main character in the story ‘Lena and the Swan’. With her uncle away at the war, she’s taken on his duties as postman. Her joy in the sense of freedom and autonomy has perhaps gone a little too far, as she takes the opportunity to provide ‘comfort’ as well as deliver letters to the lonely wives in the village and outlying farms. But then a spinster moves into the area, who on the surface doesn’t seem like Lena’s type at all … and suddenly her world turns. I love Lena for her joie de vivre, and for being sincere as well as a bit outrageous. This is an interesting question, but I’m not going to answer it directly! My method of writing is to ‘cast’ my characters, unfold the story in my mind’s eye as if it’s a film, and then try to capture that in words … which is often easier said than done! I tend to cast my characters with actors I already know and love, and that can affect the characterisation, for example by the character taking on their body language or verbal intonations. However, with many characters – such as my most recent, Jules Madigan – all I needed to borrow was someone else’s appearance, as he was otherwise already fully formed. When I was writing about John Keats, the man himself more than adequately filled the role, of course, as I felt I knew him well enough to write him in three dimensions. And that is what casting is all about, I think: giving the character three dimensions and thereby bringing them to life in my imagination. So, I could always give you a cast list for anything I write, at least for the main and key characters. However, I always try to keep that a secret from my readers, as I think it’s important to allow the reader to visualise the characters in whatever ways they see fit. So I wrote Jules as having red hair and very pale skin, and being a little cuddlier than he thinks is ideal. The rest I leave to the reader to paint in. After A Pride of Poppies was so well received, we certainly wanted to follow that up with another anthology. However, we didn’t want to always focus on war, so we decided to alternate. Our next anthology will be A Certain Persuasion, modern LGBTQIA fiction set in the Austenverse. Submissions are open until 1 May 2016, if anyone out there is interested! The following year, if all goes according to plan, a colleague will be editing an anthology focusing on the Second World War. Is there anything you would like us to know about your books? While I personally tend to write novels in a contemporary setting, I am very proud to be part of Manifold Press. Our mission is to always strive for quality in what we produce – and I think that is borne out by A Pride of Poppies being shortlisted for the HNS Indie Award 2016, as well as seven of our eight titles being recognised in the Rainbow Awards 2015. Importantly, many of our authors have a great love for writing historical fiction, and they do it very well indeed. For example, Adam Fitzroy’s Make Do and Mend is a detailed and heartfelt story of the Home Front in Wales during the Second World War, while Jay Lewis Taylor’s Dance of Stone explores the world of Hugh, master mason at Wells in the late twelfth century. Always gets me. Never fails. 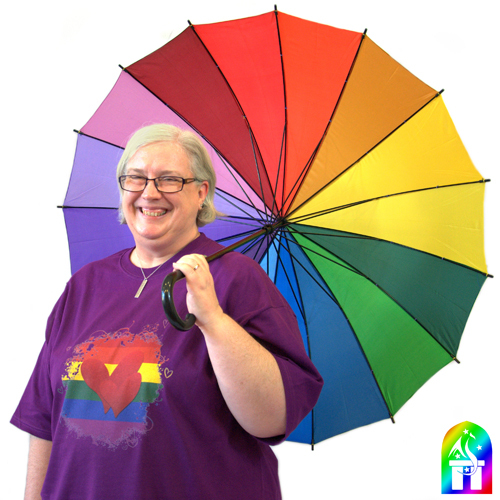 Bio: Julie Bozza was the editor and a contributing author to A Pride of Poppies. She is an English-Australian hybrid who is fuelled by espresso, calmed by knitting, unreasonably excited by photography, and madly in love with John Keats. Thanks for the introduction. Great collection and love meeting Julie. Thank you very much! It’s a pleasure to meet you, as well. Thank you, Judith! Much appreciated. Thank you very much for reading and commenting, Don. Another fascinating interview, Christoph. You have a great way of bringing out details and insights. Nice to meet Julie. Huge hugs! Thank you very much, Teagan! It’s lovely to meet you, too.